I'm curious to know as to how everyone thinks Avatar 2 will or should begin? The first avatar movie started on a theme of dreams and I would like to see that theme continued. My vision for a beginning would start with a flashback -- the same view over a rainforest but this time, a Terran rainforest in Venezuala. At the same time, Jake Sully's voice can be heard narrating, "A few years after the time of Great Sorrow, I started having these dreams again." The dream would start with the same top down view of Jake opening his eyes; however, this is Human Jake and not Navi Jake. He is wearing a combat fatigues and a helmet. The next few minutes would precede to relate how human Jake became paralyzed and at the precise moment that he is wounded, Jake wakes up sweating from his dream. He is in his new clan's hometree. 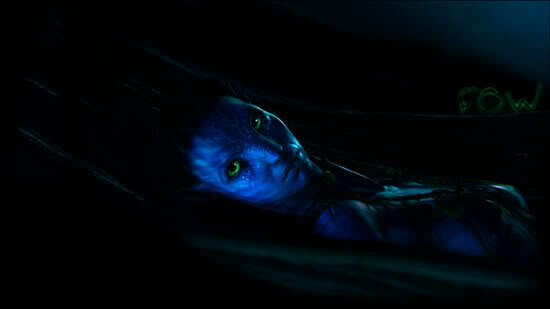 After taking a deep breath and perhaps a few words with Neytiri, he goes back to sleep. The next day, village life begins. I think this would be a great way to bind all of the diverse elements of the film. It includes human Jake back into the film, forshadows the RDA's eventual return, and provides some nice additional backstory. So how would you personally like to see Avatar 2 begin? What would be your "vision" of an opening scene? Last edited by Banefull; 11-01-2010 at 09:47 PM. Sometimes I imagine the sequel beginning RIGHT after Jake opened his eyes and he is reborn. He gets up, and everyone cheers. But seeing as I don't really see JC doing that, I'd say it starts off with a hunting scene of a few Na'vi warriors in a lush forest trying to chase and capture an animal. They come out to a sunny clearing and see the beast running out of their reach, then it is suddenly shot down by a soaring arrow. The few hunters look overhead behind them to see Jake and Neytiri flying on their Ikrans with their bows out. Jake makes his enterance into the movie. His Ikran zooms past the camera and roars, and comes to a stop right at the corpse. Neytiri hops off her Ikran with a 'nice' back view of her approaching Jake and complimenting him on the kill followed by a front view of her smiling. OR SOMETHING EPIC LIKE THAT. I've always wanted to see that too (especially back in December when I first saw the movie). But the sequel will start a few years after the first. Some things are better left to the imagination I guess. One thing though, how would Neyney get another Ikran? I think that hunters who lose their Ikran can probably go back to the mountains and get another. That's not a bad idea. But the voice over just made me cringe. Doesn't fit at all. Having a flashback itself with no actual voice-over, and revealing its a dream after something (that may or may not be relevant to the plot) happens would be a much more effective opening imo. And not just because I'm a sucker for opening stories like that. ...then turning around to face the captured soldier, revealing himself as the one we all know: Jake Sully. 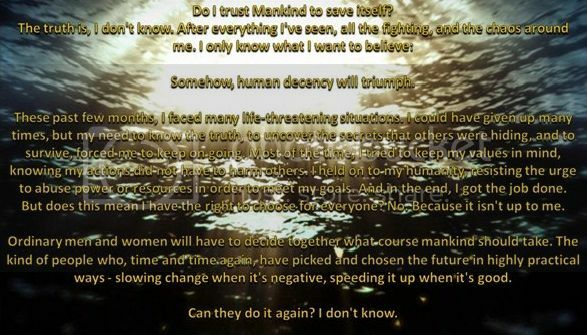 He then speaks in perfectly fluent Na'vi to the hunters who brought the soldier back... and I never imagined what would happen afterward. Just this single idea has always been what I've thought of how the sequel would begin. Dat not too bad. Brings up some continuity and "what the **** happened between the movies" issues though. I figure that'd be more of "The Draw" for the movie. Screenwriter Bible indicates the number one rule in screenwriting: have the audience's attention within the first 5-8 minutes. The exposition could come later, I suppose. That's why dream sequences are so nice. You can get that without laying down anything "official" to start. I believe that it is perfact for a transition from Dreams to Nightmares. I don't think the vioce over in the begining is nessesary because it is more intresting to the audence when you don't know it's a dream till Jake wakes up from it. As for the new home, I don't think a new home treewould be possable over the span of 5 years. The Na'vi lived in the oridinal hometree always for mult-millnium and it had all the features for them, the spiral staircase that went up and down the trunk, the columes that supported the tree and to have an open base for a gathering. If they were to try and make a new hometree with all those features, it probebly would take more than 5 years til it would be complete. I think they could settly in a group of medium sized trees to create a village-like establishment. And prehaps what most of the fans want in the mid beginning of the film is a more passionete Jake and Neytiri love scene. None of those were artificial, the point of the hometrees is that they evolved in symbiosis with the wildlife of Pandora. I would like to see the sequel starting where the first one ends. It could start like the first one, flying over the rainforest with a narrative "Back on Earth I had those dreams of flying, being free. These dreams have become true - Now I can fly, I am free!" Then a closeup of Jake opening his eyes after the transfer ceremony. I would like to see how he reacts to his human body, seeing it for the first time from outside, and what he does with it (probably bury it). There should be a feast including dancing and playing all these awesome drums and the blue flute (like in the beginning of the battle camp deleted scene).